Last year when Audi rolled out the new RS3 sedan, it was already known that a Sportback version of the same will follow suit. And now there is confirmation of the same. The German car manufacturer is bringing the new RS3 Sportback at the 2017 Geneva Motor Show, scheduled to take place next month. The 2017 Audi RS3 Sportback doesn't look strikingly different from its sedan counterpart as the front profile of both the models are identical. It gets the new single-frame honeycomb grille finished in gloss black. The RS3 Sportback too features the new matrix LED headlights as an optional package. The rear gets an updated spoiler, diffuser insert along with the RS oval exhaust pipes. The Sportback also sports Quattro and RS emblems to make it look distinct than the regular model. It is to be added that the RS3 Sportback is a spruced-up version of the Sportback and not the A3 hatch as the latter is a shorter and two-door offering. 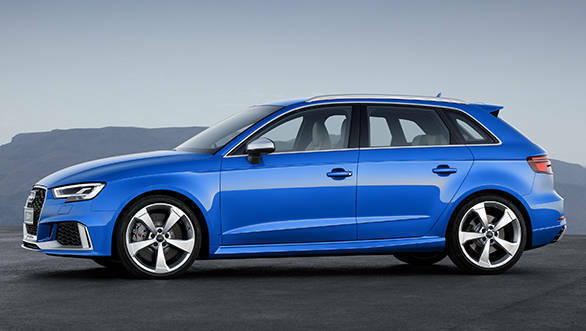 Audi states that the RS3 Sportback will come equipped with Nappa leather seats as standard. However, one can also avail the optional RS seats which have a contoured profile along with integrated headrests. It also features flat-bottom steering wheel and a touchpad-controlled central infotainment system. The Sportback also gets Audi's virtual cockpit, Apple CarPlay and Android Auto along with 705W Bang & Olufsen sound system. Powering the 2017 Audi RS3 Sportback is the same 5-cylinder 2.5L motor that is seen under the Audi TT RS. This motor makes 400PS/480Nm and is paired to a 7-speed S-tronic transmission. Being a quattro, all of that power is sent to four wheels. 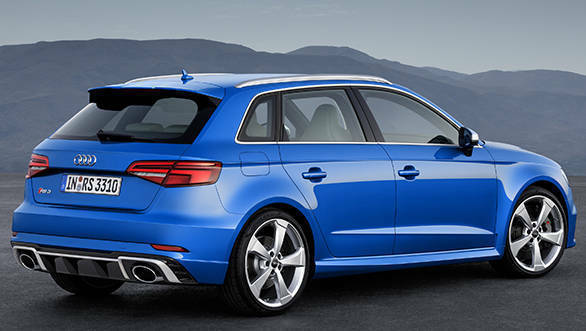 Audi claims that the 2017 RS3 Sportback can do 0 to 100kmph in 4.1 seconds and can reach a maximum speed of 250kmph. 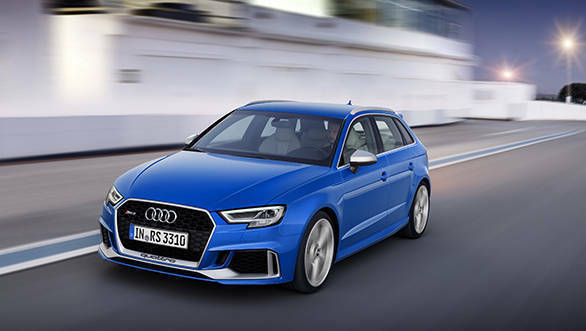 Both the sedan and the Sportback derivatives of the RS3 will be on sale in Europe from August this year under the Audi Sport label. 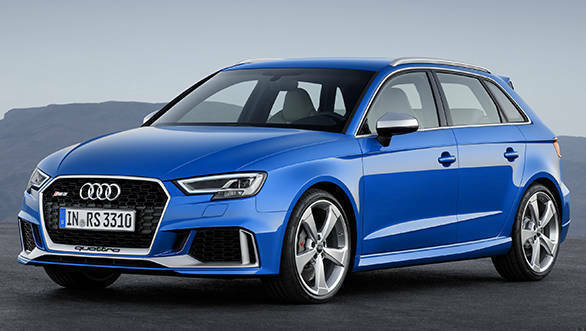 The prices for the RS3 Sportback will start from 54,600 euros (Rs 38.89 lakh) while that of the sedan will start from 55,900 euros (Rs 39.82 lakh). Should it come to India? Your wish is same as ours.